And now for something a little different – a break from the aster family of plants. 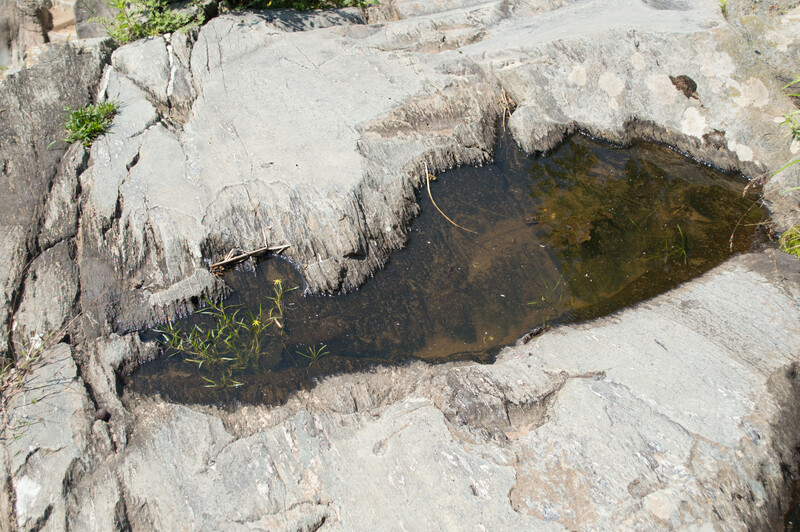 In early August, wih typical almost-droughty conditions, the river was running low, exposing mudflats, so of course I went scrambling off the trail and over the rocks to see what I could see. And what I saw were tiny little things that are usually hidden from view. False pimpernel is found across the US, except in Montana, Wyoming, and Utah. 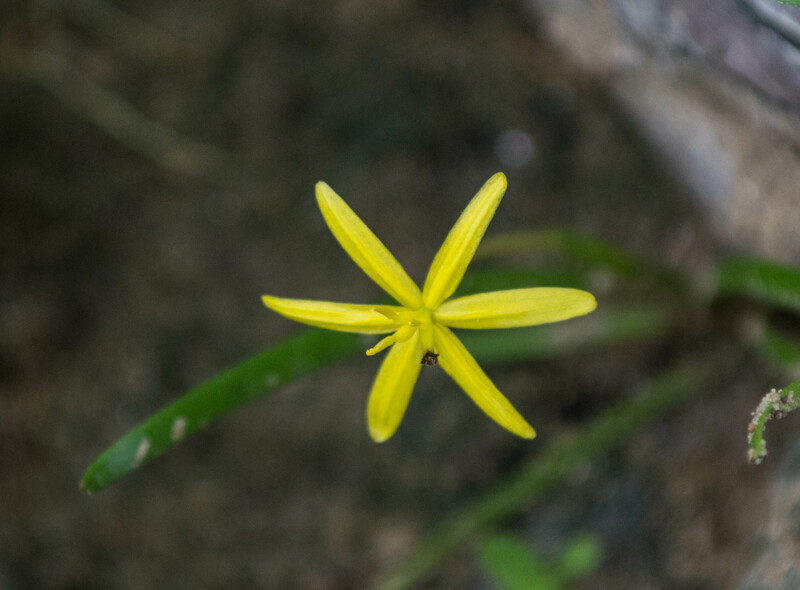 It’s an annual that grows 4-8″ tall; the flowers measure about 1/3″ across. On other parts of the planet it is a real pest, posing a threat to rice fields in Asia and Europe. 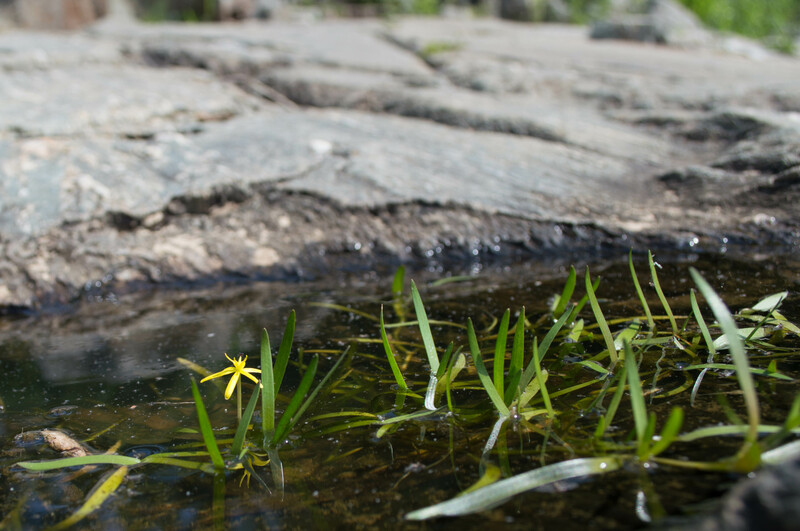 Grassleaf mudplantain is found everywhere in the US except Wyoming, Utah, and Nevada. It’s of special concern in Kentucky, threatened in Maine, and endangered in New Hampshire. 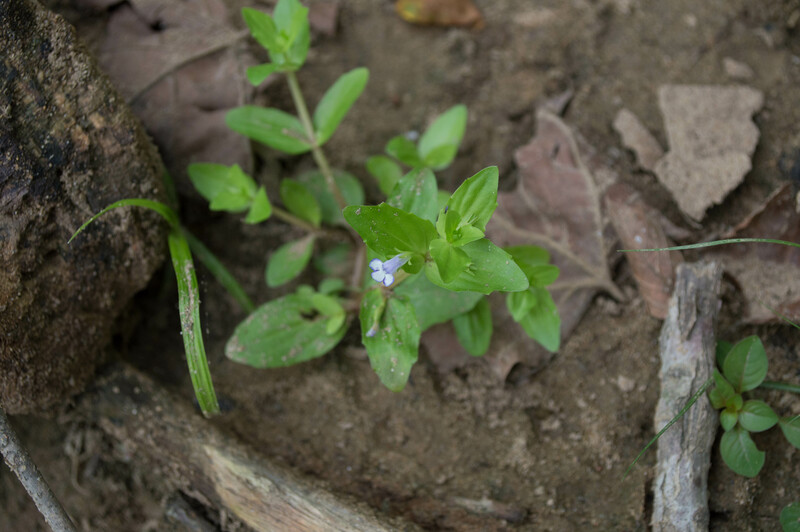 The plants grow a few inches tall, with flowers a little less than an inch across. 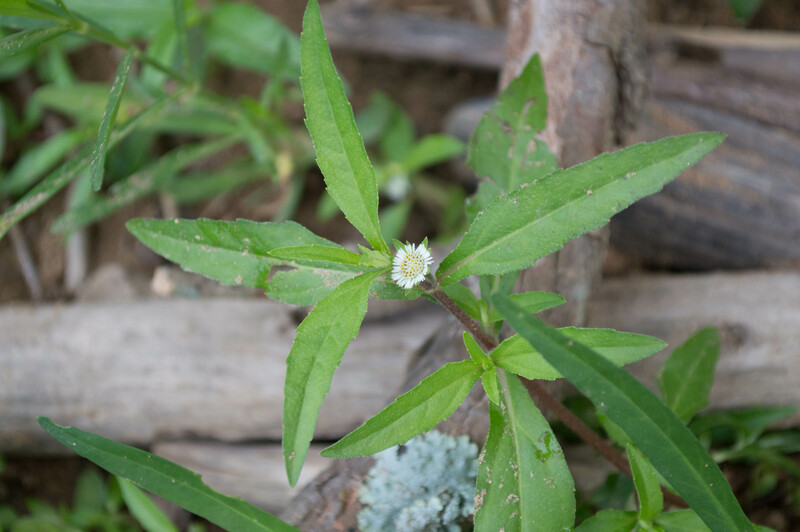 Bonus flower, to bring us back to the aster family: false daisy, Eclipta prostrata. This was growing right alongside the other two on the muddy riverbank. 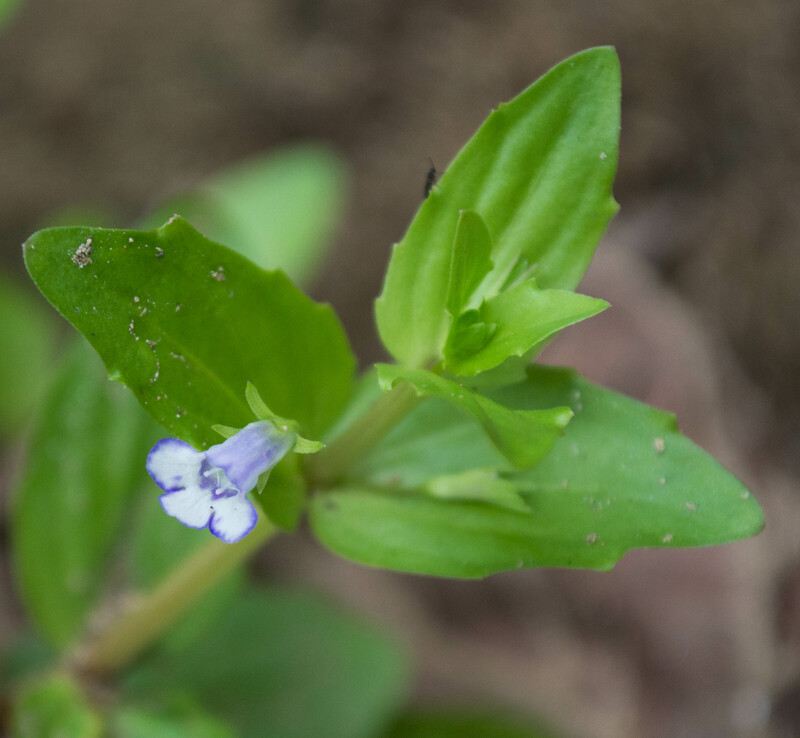 This entry was posted in Uncategorized and tagged false pimpernel, grassleaf mudplantain, Heteranthera, Lindernia, native plants, pickerel-weed family, snapdragon family, water startgrass, wildflowers by elizabeth. Bookmark the permalink.